Baltimore County Councilman David Marks on Wednesday provided an update on road projects in the Kingsville area. At least two major corridors will be resurfaced by the end of the summer: Sunshine Avenue and Mount Vista Road. Sunshine Avenue has been finished, and road crews are working on Mount Vista Road. The work is occurring near the Belair Road intersection, so motorists should access Mount Vista Road from Harford Road. 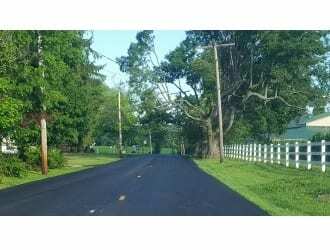 Additionally, Baltimore County expects to paint a new crosswalk on Jerusalem Road near the historic Village of Jerusalem Mill. In addition to road resurfacing, Councilman Marks secured funding to install air conditioning at Kingsville Elementary School and has supported the construction of the new fire station.